We created an easy to use and colourful UX experience which had a significant impact on sales figures for new online business WebOil. The development of the new WebOil website was a natural progression following the branding and marketing work undertaken by Parker Design. Ecommerce website design is all about a clear sales proposition and with changing trends in online purchasing, easy to use websites are vital for any business. One of the main requirements for WebOil customers was a need for simplicity and convenience. The website required an innovative instant quoting system where customers could calculate the costs of their order whenever and wherever they liked. The new ecommerce website design needed to incorporate easy delivery options, which we designed and structured to provide complete convenience to customers, adding value to the whole process. 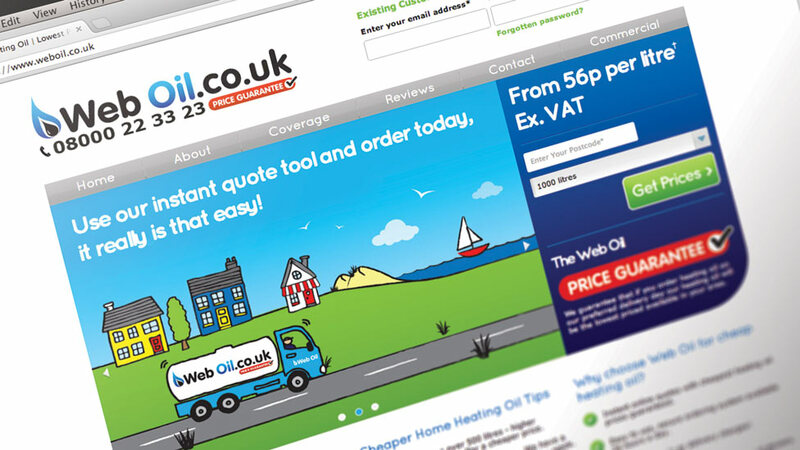 We also considered search engine optimisation and how potential customers currently found heating oil providers. The results of this showed a tendency towards local searches to reduce delivery costs, so we also put in place a design structure which provided local websites to address this buying pattern. Working closely with the WebOil team, we created a high impact ordering panel on the homepage, with a strong call to action. 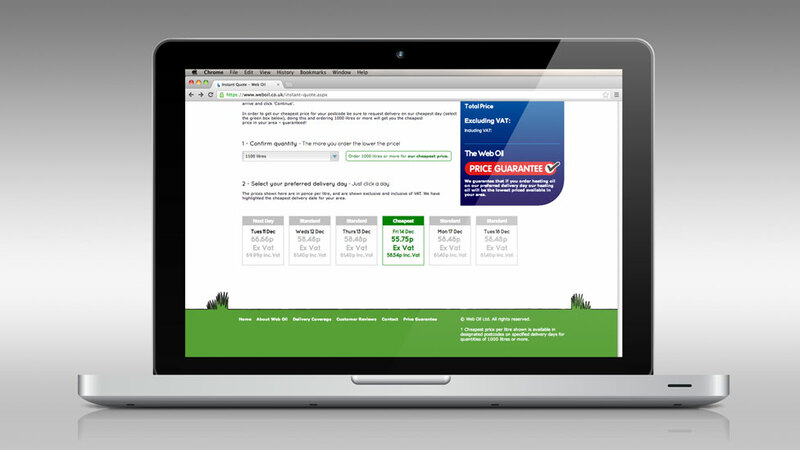 The ordering process uses a simple ‘one-click’ functionality with clean and friendly graphics. Keyword analysis and refinement was undertaken as well as research into key geographical locations and demographics for potential customers, a combination of which led to a strategy of developing key north-west websites for areas with the most potential. WebOil’s fresh new website design now reinforces the company’s USP of simplicity and value when purchasing domestic oil, with a significant ROI already apparent and the business growing rapidly from day one.